UNITED NATIONS – Representatives of Moammar Gadhafi's government and the Libyan opposition will be among those attending an African Union meeting in Addis Ababa , Ethiopia , on Friday, U.N. Secretary-General Ban Ki-moon said Thursday. Eritrea under the one man regime and its fiasco of Self Reliance! The one man regime in Eritrea has been telling its subjects that self reliance is the way out and that his government has turned Eritrea in to a model country. Well, he may be right in that , sort of, Eritrea today is a model how to beg and become dependant nation in broad day light and at the same time pretend all is well and the country is self reliant! Watch how Canadian donated oil which Eritrea begged in day light on behalf of its starving people is resold in stores! "A lavish residence is being built for Prime Minister Meles Zenawi which could cost more than 80 million birr, according to estimates." Sensational news at its worst: The failings of the private press- from Reporter to Fortune. As Genenew eloquently commented (here) Fortune the private English news paper has been spinning and wagging to its sponsors in many ways for a while now. The Reporter another private paper, in the (above news article) wants us to believe PM Meles is building a private house in the middle of the palace compound! Had Reporter wanted to cover the news story for what it is, it could have simply told us a new house is being built for Ethiopia’s prime minister residence. You all know PM Meles is leaving his post in 4 years time and new prime minister will move in to this house! We suspect Reporter wants to play its share in the sensational news going on by misinforming us about PM Meles using public money to build his private house! It is sad to see the private press failing in this critical time for Ethiopia. Addis Ababa, March 23 (WIC) - Saudi Star Agricultural Development Plc, a food company owned by billionaire Sheikh Mohammed al- Amoudi, said it plans to invest $2.5 billion by 2020 developing a rice-farming project in Ethiopia. March 22, 2011 (Aigaforum)- Young Ledetu passes the torch to Mushe Semu while Angafaw Hailu Shawel and Dr Beyene Petros hang to power precariously! The Ethiopian oppositions have been going through their own internal jasmine revolution ever since election 2005. EDP was the first to face internal crisis and true to form it is the first to come out of the crisis with a bright future. EDP in its recently concluded congress elected a new Chairman to replace its outgoing chairman Ledetu Ayalew. The new chairman Mushe Semu is a long time member and has been a long time close confidant of Ledetu. Addis Ababa, March 20, 2011 (Addis Ababa) In an exclusive interview with ENA, Ministry of Foreign Affairs American Affairs General-Director, Ambassador Taye Atsikesilassie, said majority of Ethiopians are significantly contributing to ongoing development endeavors. 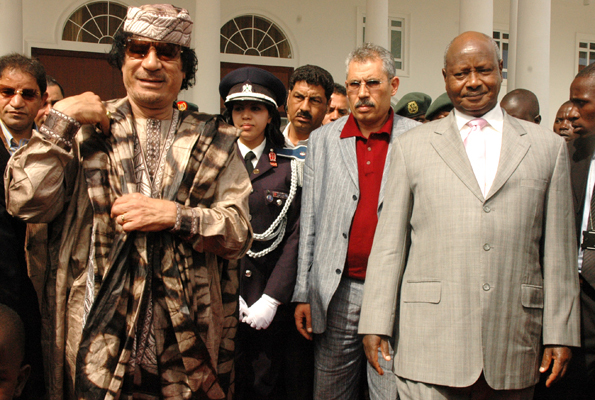 President Museveni comments on his former ally Muammar Gaddafi’s rule. By the time Muammar Gaddaffi came to power in 1969, I was a third year university student at Dar-es-Salaam. 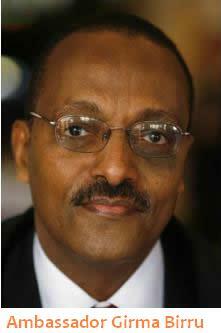 We welcomed him because he was in the tradition of Col. Gamal Abdul Nasser of Egypt who had a nationalist and pan-Arabist position..
ADDIS ABABA (Reuters) - Ethiopia warned on Saturday it would take "all measures necessary" against Eritrea, in a rare threat of direct action against a neighbour it routinely accuses of supporting rebel groups. 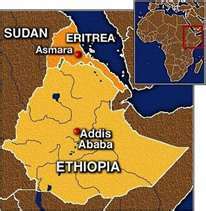 "What we are saying is that we will not sit idle and watch Eritrea challenge our sovereignty and our development efforts," foreign ministry spokesman Dina Mufti told Reuters. March 20, 2011 (www.ethjournal.com)- To fulfill the growing electric power demand as a result of the faster economic growth Ethiopia is experiencing, new electric power plants are being built. Among the already operational power plants are Tekeze, Gilgel Ghibe II and Tana Beles.Power transmission and substation installation has been finalized to fully consume the 460 megawatt of electric power generated from the Tana Beles electric power plant. 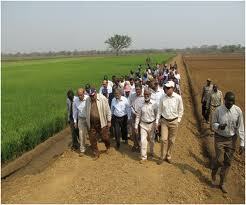 Peace and Isaias Afewerki’s Eritrea can never be bedfellows . Dilwenberu Nega March 20, 2011-The Government’s statement to the international community last week calling for its pressure to bear on Eritrea to cease its continued acts of terrorism inside Ethiopia, is the clearest sign yet that the administration of Prime Minister Meles Zenawi has reached the end of its tether with Asmara’s wayward behaviour..
GIBE III DETRACTORS ARE THE NEW PRIESTS OF DARKNESS. The continuing human rights crisis in Eritrea: the need for urgent international action. Mekelle Institute of Technology is organizing a national workshop on 2 April 2011 at Ainalem (Mekelle) to evaluate a Draft Curriculum of Master of Business Administration (MBA). Since its overwhelmingly win in the last election, the Ethiopian government has started an ambitious growth and transformation plan for the country. This plan among many other goals, calls for Ethiopia to be self sufficient in food in five years time! 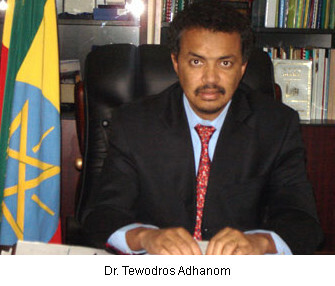 The Ethiopian government has high hopes the Diaspora community with its immense potential of wealth and knowledge will play its important role in achieving the growth and transformation goals.The Government will tour in many North American cities in April to discuss the plan in detail with the Diaspora community. Boston is one selected city and TV personality Mahdi Omar from The African Television Network of New England (ATNNE) had an interview with meeting organizers Dr Maheteme and Ato Teodros ... Watch!